Since 1991, Kilter Termite and Pest Control has been the trusted source for termite treatment in homes in Laguna Beach, California, and the surrounding areas. We take a different approach than most other extermination companies in the region that typically rely on whole-house fumigation. Rather, we use the innovative KILGUARD system, which offers several benefits that tenting doesn’t. 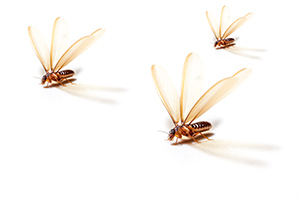 Subterranean termites can’t retreat underground and return later as they often do when a home is fumigated. It is safe for families and pets, so there’s no need to spend additional money on alternative accommodations while treatment takes place. It is guaranteed to eliminate both drywood and subterranean termites and prevent them from returning. When you choose Kilter to perform termite control in your Laguna Beach, CA, home, you’ll receive more than just the most effective treatment system. We are committed to providing outstanding service from start to finish, which is why we begin by performing a free termite inspection along with an accurate quote for treatment. After we’ve eliminated termites from your home, we can even help repair the damage they’ve caused with our wood replacement services performed by experienced craftsmen. To learn more about the termite treatment services we offer to homeowners in Laguna Beach, CA, contact Kilter Termite and Pest Control today.